Save at select hotels for new bookings made traveling through Nov 30, 2018. The summer savings are heating up at Apple Vacations! For 72 hours only, we’re offering red-hot deals to all of your favorite destinations. Everyone can take advantage of amazing offers, including up to $500 in resort coupons and kids fly, stay, play, and eat starting at just $369! What are you waiting for? Reserve your place in paradise by booking your summer vacation today! 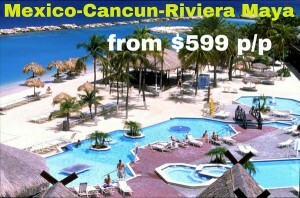 How to get best deal for ALL Inclusive vacation with Apple Vacations? Dominican Republic includes some wonderful island – a perfect retreat in the region, which is difficult to describe in simple terms. Exotic woven of sunshine and pure azure ocean. Columbus, who first discovered the land, the island called the most wonderful place on earth. The main feature of this country can be named is not the sea and beaches, and space – is immediately noticed by tourists. Miles of pristine white beaches, vast areas of hotels. Many choose this paradise for their peace and quiet. Luxury unusual nature (tropical forests, beautiful mountains, sandy beaches, waterfalls SLR) – it is a dream, because these beautiful places are hard to find in our world. 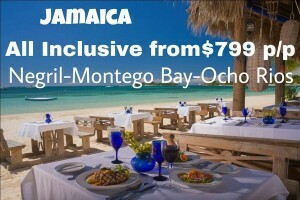 And all this – vacation in the Dominican Republic all year round! Even just to go to such a stunning world – nice. But the Dominican Republic offers a lot more than it seems at first glance. You can participate in one of the many tours to the ancient city of Santo Domingo, to the Christopher Columbus lighthouse, sundial, visit the palace of El Alcázares de Colón, the island of Saona. And this is only a small part of the Dominican Republic attractions. Punta Cana – one of the most famous resorts in the world. It is a paradise for water sports enthusiasts. “Jazz Tour” invites you on an unforgettable adventure – you are water skiing, diving master, get acquainted with the amazing underwater world of the Dominican Republic. Additionally, you can visit the park «Manatee». It is worth visiting with children. Believe me, every child will be delighted by the show of dolphins, colorful parrots and the amazing reptiles. La Romana – one of the most luxurious resorts in the world with its own airport. Huge hotel complex with a full range of services – SPA-Salon, shops, bars, clubs. The active nightlife. Despite the lack of historical attractions, the complex hosts a variety of tourists who want to enjoy the perfect vacation. Puerto Plata – a calm and complete peace. Heavenly place for a sense of harmony and freedom. Beautiful scenery, clear skies, smooth surface of the ocean – all this you can see for yourself, once in a blissful place. Tours in Dominican Republic offer a very different holiday – filled with active travel, quiet and relaxing, family, romantic, but always memorable. Just choose the resort that suits your desires. Holiday season in the Dominican Republic – to this heavenly place concept rather formal, since the temperature year-round average of 77 – 89 degrees. A temperature of water is usually 2 degrees below the temperature of the air. In December, January and February are usually 77 – 84 ° F. In March, April and May to travel is the people that are difficult to tolerate high temperatures (from +74 to + 81 ° F). In June, July and August, the hottest days, when the temperature can reach 31 degrees, easily tolerated, due to the high air humidity – 80%. A light sea breeze plunges into a pleasant coolness. In September, October and November, when it rains most of the countries, and so want to hide from those gray clouds, and the gray mood, you can just fly away for a few weeks in the Dominican Republic. Even at this time there can pass only a few strong and quick showers, from which a couple of hours will be over. Holidays in the Dominican Republic in the winter – a great opportunity to bask on the beach in one of the most beautiful places on earth. After all, winter in this marvelous province just does not happen as hopelessly bad weather. Therefore, you can come here whenever you want: winter, spring, summer, autumn! How much does a vacation in the Dominican Republic with Apple vacations? Current prices for 2016 you can easily see by searching our vacations or check with our tour manager at +1 (718) 833-35-00. Official Language: Spanish. Currency: Dominican peso. $ 1. = 45 pesos. Power: Creole cuisine, which is exquisite cocktail of European, African and Caribbean. Most popular dishes: La Bandera, San Kocho. Be sure to try the fish with coconut and pineapple lemonade. Transport: buses, taxis. The cost is low. For lovers of exotic there are even “moto-koncho” – taxi-motorcycles. Weddings in the Dominican Republic – an unforgettable experience! Another striking feature of the island is a tradition to hold wedding ceremonies. If you want to say to each other an oath of loyalty and love, a beautiful place to combine their fate simply does not find. This ceremony will suit not only the bride and groom, but also couples who want to celebrate an important date of marriage and renew their vows. Treat yourself to a vacation in the Dominican Republic for the May holidays or during the holidays, unforgettable romance in a tropical paradise. This is probably one of the best gifts that you can afford to do.